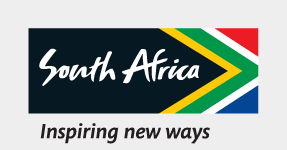 IIt’s breathtaking, it’s captivating, it’s bustling, it’s endless… it’s South Africa! In every province, around every corner, there’s a magic moment waiting to leave you inspired with incredible people underpinning it all. From city life to adventure, wildlife to culture, breathtaking scenery to sun-soaked coasts – discover South Africa. When you've seen a pride of lions resting in the shade in summer or a herd of elephant crossing the road on their way to the watering hole, it’s an incredible reminder of why the untouched wild has always been so inspiring. Explore it! With Ndebele, Zulu, Xhosa, Sotho, Swazi, Venda, Afrikaans, Cape Malay, Cape Coloured, Khoisan and European cultures all calling this land home, South Africa is certainly a melting pot of diverse cultural depth worth exploring! Fancy taking a dip with a great white shark? Or hiking up a mountain? What about plunging off the world’s highest commercial bridge bungee? Whatever gets your heart racing, South Africa’s got it! Endless horizons, deep valleys, soaring mountains, cliff sides overlooking endless oceans – a journey through South Africa will take your breath away and leave you with memories that will last forever. Teeming with marine life and some of the best surfing the world has to offer and an abundance of blue-flag beaches, South Africa’s sun-soaked coast lies ready all-year round to share its secrets, adventures and lazy days with you. From the calm serenity of sundowners at the beach in Cape Town to the boundless energy of a nightclub in Johannesburg, South Africa’s cities buzz with the soul of a nation. Feel the rhythm of South Africa in an urban safari and let the beat of the concrete jungle flow through you. Whether you’re hitching a ride via plane, train, bus or car, with world-class infrastructure, it’s easy to get to your next South African adventure. South Africa has eight UNESCO World heritage sites, areas that have been given special international status for their unique qualities. If you are interested in culture and South African history, then you may well want to consider visiting one of these sites. You won’t need to put yourself out of pocket for your South African adventure. With options available for every budget, South Africa offers exceptional value for your hard earned money. Whether you’re in it for wildlife, adventure, lifestyle, culture or scenery – there are always multiple experiences for every type of traveller around the corner no matter which part of the country you’re in. That’s the beauty of it! A journey through South Africa will take your breath away and leave you with memories that will last forever. Feel the rhythm of South Africa in an urban safari and let the beat of the concrete jungle flow through you. With numerous cultures calling this land home, South Africa is certainly a vibrant melting pot worth exploring! Whatever gets your heart racing, South Africa’s got it! An incredible reminder of why the untouched wild has always been so inspiring. South Africa’s sun-soaked coast lies ready all-year round to share its secrets, adventures and lazy days with you.